June 25 is the 176th (177th in leap years) day of the year in the Gregorian calendar. There are 189 days remaining in the year on this date. Thought for the day: "The weed of crime bears bitter fruit." ● 524 - Battle of Vézeronce, Franks defeat Burgundians. ● 841 - Charles the Bald and Louis the German defeated Lothar at Fontenay. ● 1080 - At Brixen, a council of bishops declared Pope Gregory to be deposed and Archbishop Guibert as antipope Clement III. ● 1115 - St. Bernard founded a monastery in Clairvaux, France. It afterward became a strategic center for the Cistercians, a religious order that flourished up until the Reformation. ● 1530 - The Augsburg Confession is presented at the Diet of Augsburg to the Holy Roman Emperor by the Lutheran princes and Electors of Germany. ● 1658 - Aurangzeb proclaimed himself emperor of the Moghuls in India. ● 1678 - Elena Cornaro Piscopia is the first woman awarded a doctorate of philosophy. ● 1744 - The first Methodist conference convened, in London. This new society within Anglicanism imposed strict disciplines upon its members, formally separating from the Established Church in 1795. ● 1767 - Mexican Indians rioted as Jesuit priests were ordered home. ● 1788 - Virginia ratified the U.S. Constitution and became the 10th state of the United States. ● 1825 - Capture of Bob Forbes, leader of Maroons (blacks resisting slavery) in Virginia. ● 1864 - Union troops surrounding Petersburg, VA, began building a mine tunnel underneath the Confederate lines. ● 1865 - English pioneer missionary J. Hudson Taylor founded the China Inland Mission. Its headquarters moved to the US in 1901, and in 1965 its name became Overseas Missionary Fellowship (OMF) International. ● 1867 - Lucien B. Smith patented the first barbed wire. ● 1868 - Florida, Alabama, Louisiana, Georgia, North Carolina and South Carolina were readmitted to the Union. ● 1868 - The U.S. Congress enacted legislation granting an eight-hour day to workers employed by the Federal government. ● 1870 - In Spain, Queen Isabella abdicated in favor of Alfonso XII. ● 1877 - In Philadelphia, PA, Alexander Graham Bell demonstated the telephone for Sir William Thomson (Baron Kelvin) and Emperor Pedro II of Brazil at the Centennial Exhibition. ● 1878 - Despite mass protests, Erza Heywood gets two years hard labor for advocating free love sexual emancipation as part of women's rights in the U.S.. Pardoned the following day. ● 1881 - Birth of Crystal Eastman, organizer for peace and suffrage. ● 1887 - George Abbott, American playwright, director, actor and producer, was born. ● 1894 - Eugene Debs leads strike of American Railway Union. ● 1903 - Modern prognosticator George Orwell (Eric Blair) born, Britain. ● 1905 - Cullinan Diamond, the largest rough gem-quality diamond known, is discovered by Frederick Wells. ● 1906 - Pittsburgh millionaire Harry Kendall Thaw, the son of coal and railroad baron William Thaw, shot and killed Stanford White. White, a prominent architect, had a tryst with Florence Evelyn Nesbit before she married Thaw. The shooting took place at the premeire of Mamzelle Champagne in New York. ● 1910 - The U.S. Congress authorized the use of postal savings stamps. ● 1917 - The first American fighting troops landed in France. ● 1920 - The Greeks took 8,000 Turkish prisoners in Smyrna. ● 1921 - Samuel Gompers was elected head of the AFL for the 40th time. ● 1923 - New England telephone "girls" strike for seven-hour day. ● 1928 - Three hundred thousand textile workers strike in Mumbai, India. ● 1938 - Fair Labor Standards Act passed. ● 1938 - Gaelic scholar Dr. Douglas Hyde was inaugurated as the first president of the Irish Republic. ● 1940 - France formally surrenders to Nazi Germany. ● 1941 - Finland declared war on the Soviet Union. ● 1941 - Pres. Roosevelt signs Executive Order 8802 forbidding discrimination in war industries. ● 1944 - The Battle of Tali-Ihantala, the largest battle ever fought in the Nordic Countries begins. ● 1946 - Ho Chi Minh traveled to France for talks on Vietnamese independence. ● 1947- The Diary of Anne Frank is published. ● 1948 - The Berlin Airlift begins. ● 1948 - The Soviet Union tightened its blockade of Berlin by intercepting river barges heading for the city. ● 1950 - The beginning of the Korean War, North Korean forces cross the 38th parallel to invade South Korea. ● 1950 - UN condemns North Korean invasion; North Korea has invaded South Korea at several points along the two countries' joint border. ● 1952 - John Christie, the British murderer of 10 Rillington Place, was sentenced to death for killing six women. ● 1953 - Christie to hang for wife's murder; John Christie is sentenced to hang for murdering his wife and then hiding her body under the floorboards of their Notting Hill home in London. ● 1957 - During a convention in Cleveland, Ohio, the United Church of Christ (UCC) was formed by a merger of the Congregational Christian Church and the Evangelical and Reformed Church. ● 1959 - Eamon De Valera became president of Ireland at the age of 76. ● 1959 - The Cuban government seized 2.35 million acres under a new agrarian reform law. ● 1962 - The U.S. Supreme Court ruled that the use of unofficial non-denominational prayer in public schools was unconstitutional. ● 1964 - U.S. President Lyndon Johnson ordered 200 naval personnel to Mississippi to assist in finding three missing civil rights workers. ● 1967 - Heavyweight boxing champion Muhammed Ali, stripped of his title upon conviction, is sentenced to five years in prison for his conscientious objection. Houston, Texas. ● 1968 - Leonard Marchand (Okanogan) becomes first Indian ever elected to Canadian House of Commons. ● 1968 - Pan-American Health Organization reports that Central American Indians have a worse diet than the pre-Columbian Mayans. ● 1969 - Canada's Minister of Indian Affairs, Jean Cretien, announces a government plan to end the legal status of Canada's native people. This endorsement of cultural genocide so cripples his political career that he later becomes Prime Minister for a decade. ● 1970 - The U.S. Federal Communications Commission handed down a ruling (35 FR 7732), making it illegal for radio stations to put telephone calls on the air without the permission of the person being called. ● 1970 - New peace plan for Middle East; The United States launches its latest plan to end the current war of attrition between Israel and Egypt. ● 1973 - Erskine Childers Jr. became president of Ireland after the retirement of Eamon De Valera. ● 1973 - Former White House Counsel John Dean began testifying before the Senate Watergate Committee, admitting that U.S. President Nixon took part in the Watergate cover-up. ● 1975 - Mozambique became independent. Samora Machel was sworn in as president after 477 years of Portuguese rule. ● 1975 - Prime Minister Indira Gandhi declares Emergency in India, suspending civil liberties and elections. ● 1976 - Missouri Governor Christopher S. Bond issues an executive order rescinding the Extermination Order, formally apologizing on behalf of the state of Missouri for the suffering it had caused the Latter Day Saints. ● 1978 - In response to the passage of an anti-gay ordinance in Miami, 240,000 people march in San Francisco in the first large-scale version of that city's annual Gay Freedom Day Parade. ● 1982 - Greece abolishes headshaving of the recruits in the military. ● 1985 - Police hunt IRA resort bombs; Thirteen people are arrested in connection with a suspected IRA bombing campaign uncovered by police two days ago. ● 1986 - The U.S. Congress approved $100 million in aid to the Contras fighting in Nicaragua. ● 1987 - Austrian President Kurt Waldheim visited Pope John Paul II at the Vatican. The meeting was controversial due to allegations that Waldheim had hidden his Nazi past. ● 1987 - Conscientious objector Michaelis Maraggakis jailed four years for refusing compulsory military service, Thessaloniki, Greece. ● 1990 - Hundreds rally, Madrid, Spain, for an end to bullfighting. ● 1990 - The U.S. Supreme Court upheld the right of an individual, whose wishes are clearly made, to refuse life-sustaining medical treatment. "The right to die" decision was made in the Curzan vs. Missouri case. ● 1991 - The last Soviet troops left Czechoslovakia 23 years after the Warsaw Pact invasion. ● 1991 - The Yugoslav republics of Slovenia and Croatia declared their independence from Yugoslavia. ● 1993 - Kim Campbell is chosen as leader of the Progressive Conservative Party of Canada and becomes the first female Prime Minister of Canada. She assumed power upon the resignation of Brian Mulroney. ● 1995 - Warren E. Burger, the 15th chief justice of the United States, died at age 87. ● 1996 - Outside the Khobar Towers near Dhahran, Saudi Arabia a truck bomb exploded. The bomb killed 19 Americans and injured over 500 Saudis and Americans. 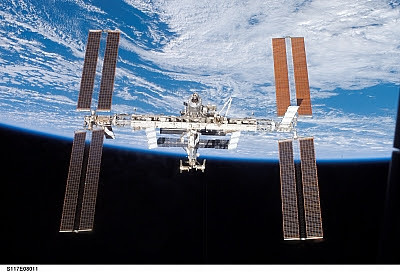 ● 1997 - The Russian space station Mir was hit by an unmanned cargo vessel. Much of the power supply was knocked out and the station's Spektr module was severely damaged. ● 1997 - U.S. air pollution standards were significantly tightened by U.S. President Clinton. ● 1997 - Oceanographer Jacques-Yves Cousteau died at age 87. ● 1998 - In Clinton v. City of New York, the United States Supreme Court decides that the Line Item Veto Act of 1996 is unconstitutional. ● 1998 - The U.S. Supreme Court ruled that those infected with HIV are protected by the Americans With Disabilities Act. ● 1999 - Germany's parliament approved a national Holocaust memorial to be built in Berlin. ● 2000 - A Florida judge approved a class-action lawsuit to be filed against American Online (AOL) on behalf of hourly subscribers who were forced to view "pop-up" advertisements. ● 2000 - U.S. and British researchers announced that they had completed a rough draft of a map of the genetic makeup of human beings. The project was 10 years old at the time of the announcement. ● 2001 - Race violence erupts in Burnley; The ring leaders of a weekend of racial clashes in Burnley, Lancashire, are hunted by the police as the clear up in the town begins. ● 2002 - A federal judge in Alexandria, Va., entered an innocent plea on behalf of Zacarias Moussaoui, who was accused of conspiracy in the Sept. 11 attacks. ● 2005 - Hardline Tehran Mayor Mahmoud Ahmadinejad was declared the winner of Iran's presidential runoff election. ● 2006 - Palestinian militants kidnapped an Israeli soldier, Corporal Gilad Shalit, after tunneling under the border and attacking a military post, killing two other soldiers. ● Saints Onuphrius the Great, and Peter of Mt. Athos. ● St. Arsenius, abbot of Konevits. ● Saints John, Andrew, Heraclemon, and Theophilus, hermits of Egypt (also 2 December). ● St. John the Soldier of Egypt. ● St. Onuphrius, abbot of Malsk (Pskov). ● Saints Onuphrius and Auxentius, monks of Vologda. ● St. Stephen of Komel, abbot of Ozersk Monastery (Vologda). ● New-Martyr Bishop Onuphrius (1938) and his cosufferers Hieromartyrs Anthony, Barsanuphius and Joseph (1937). ● St. Julian of Dagaz.